With Summer comes lots and lots of traveling. Whether you're going near or far, one thing you should do is make sure that your vehicle is looking good, inside and out. During the two months of Summer the kids get off, the hubby and I love taking our kids to different places to explore for quality family time. We recently went to London and we still have plans this Summer to make it to a few other places that will require a lot of travel time, so when I receive the package below from Armor All, not only was I thrilled, but you should have seen my hubby. He was so excited, especially since the package came right before his annual Ride For Dad motorcycle ride he participates in. He had the bike looking brand new as he rode out that Sunday morning. Armor All offers consumers innovative products that help prevent damage and protect the surfaces of cars while keeping vehicles clean. The items we received were Armor All's Wash & Wax, Auto Glass Cleaner, Cleaning Wipes and their travel size Clean Up, Tech & Screen and Carpet & Upholstery wipes. Let me tell you, these wipes are absolutely amazing! I love that they are small enough so that they can come with us wherever we go to travel and how great they work. The Tech Screen wipes came in handy for the kids when they needed to clean their tablet screens. This would also work great for vehicles that have a GPS system in their car or DVD player too. With traveling with kids comes spills, the carpet and upholstery wipes worked great for when the kids spilled their juice or got crumbs in their seats. Did you know that on average one in 10 Canadians never clean the interior (12 per cent) or exterior (10 per cent) of their cars. I have to admit, I sometimes fall in that category. I usually wait for the hubby to clean his truck and then have him clean my van, but I have to say, I am good with getting my van cleaned up right a way after a long trip away with the family. There's just too much trash and items in the van not to clean it all up. If you're planning on traveling this Summer with your kiddos, even if it's just an hour away, I'd definitely recommend you taking Armor All's travel wipes with you, you won't regret it! 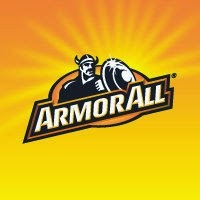 Armor All products are available at most mass retailers like Canadian Tire, Wal-Mart and Costco. Disclosure: All opinions are my own. I received the above mentioned products at no cost for the purpose of this review. No other compensation was received.